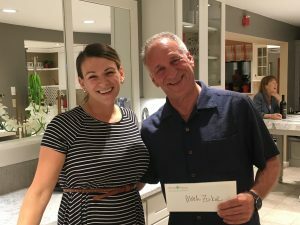 No Peak Stew - Wood Palace Kitchens, Inc.
Mitch Zucker, winner of our 2018 Recipe Contest in the main dish category, shares his recipe. Cover bottom of crock pot with beef. I like to mix fattier stew beef with some lean. Cut any large pieces into smaller pieces. Layer celery, carrots and potatoes on top of beef. Mix together sugar, salt, pepper and tapioca. Sprinkle mix over top of everything. Pour tomato juice over everything. Cook on high for 3 hours. Mix everything up in crock pot. Add onions and peas and cook on high another hour. 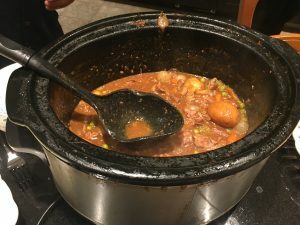 This entry was posted in Recipes on October 11, 2018 by wpalace.